The Institute, within its publishing activity in addition to the journals “Copper”, “Mining Engineering”, “Innovations and Development” and “Mining and Metallurgy Engineering Bor” also publishes monographs, scientific books and conference proceedings of international and national importance. 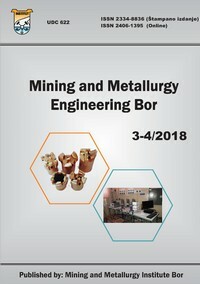 Mining and Metallurgy Engineering Bor (formerly Mining Engineering) is a journal based on a rich tradition of expert and scientific work in the field of mining, underground and open-pit mining, mineral processing, geology, mineralogy, petrology, geomechanics, metallurgy, materials, technology and related fields. It is published four times a year. The journal is categorized as M24. 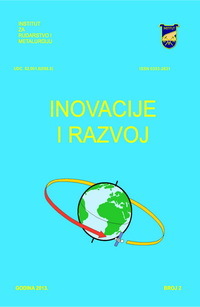 In the latest double issue of the journal, you will find paper works related to the analysis of profitability the copper ore exploitation from the deposit Cerovo Primarno-Drenova, applicability of the mining method in the mine Rembas, comparative analysis of the Al model in modeling the flotation processes, testing the styles of leadership in the organizations in Serbia that apply in their operations a concept of preservation the natural resources, electrochemical synthesis of ferrate (VI) for the wastewater treatment, etc. The journal is in English. 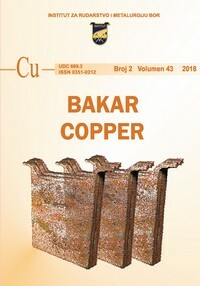 The journal Copper is based on a rich tradition of professional and scientific work not only in the field of copper production and processing, but also in the fields of ferrous and non-ferrous metallurgy, technology, nanotechnology, chemistry, mineral processing, environmental protection, energy efficiency, applied informatics and related fields. Published twice a year since 1968. Since 2010, the journal Copper has been categorized as M52. 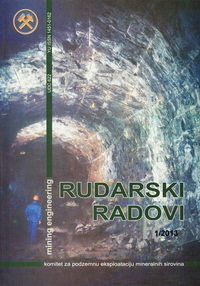 In the new issue of journal Bakar/Copper, read the following papers: Mineralization from the locality of Kriveljski kamen, ore deposits Veliki Krivelj, the possibility of joint processing; Overview and condition of the major facilities of the flotation tailing dump Veliki Krivelj and collector of the Krivelj river near Bor; Comparative analysis of energy consumption and CO2 emission for discontinuous and combined transport system at the open pit North Mining district; Implementation of the modern technologies in order to control the drilling and blasting works; Analysis of slope stability of the internal landfill of Kutlovača in a function of reconfiguration the DTO system at the open pit Potrlica; Palladium recovery and refining from spent Pd-catcher; Different types of nanomaterials for the wastewater treatment; Acidity and alkalinity of water of the Bor river and Timok river; Techno – economic analysis of flotation tailings processing by L-SX-EW method; Analysis of the stakeholder requests. The journal Mining Engineering is based on a rich tradition of expert and scientific work in the field of mining, underground and open-pit mining, mineral processing, geology, mineralogy, petrology, geomechanics, metallurgy, materials, technology and related fields. Since 2012, the journal Mining Engineering has been categorized as M24. The journal Innovations and Development is based on a rich tradition of expert and scientific work in the field of non-ferrous and ferrous metals and alloys, industrial management, electronics, energy and economy as well as the other associated and related fields. Journal is categorized as M53. The Institute, within its publishing activity in addition to the above journals, also issues the monographs. By establishment the Copper Institute Bor in 1962, the Library of the Institute was also established.